Kent Kauffman discusses soybeans and how to manage sudden death syndrome. This segment originally aired on June 2, 2017. 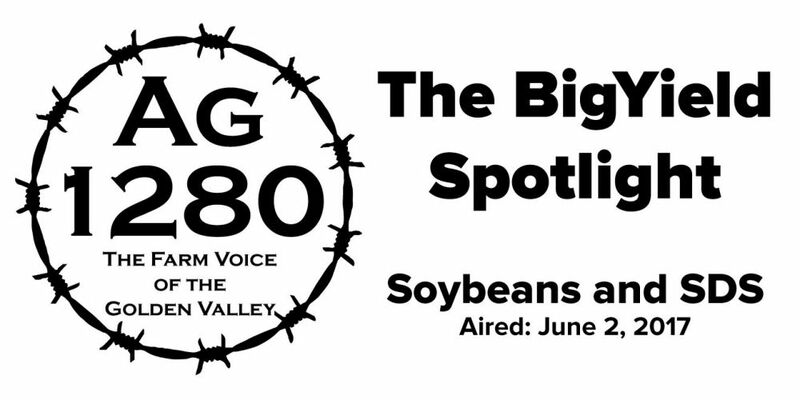 Kyle: Time once again for the BigYield Spotlight. I’m Kyle Hill, coming to you from The Farm Research Center outside of Garden City that is operated by BigYield.us. Once again hosting us, Kent Kauffman. Good to visit with you again Kent. Kent: Thanks for stopping by Kyle. Kyle: Today we’re talking about SDS – Sudden Death Syndrome. That is a growing issue with soybean farmers. Obviously, it doesn’t cause much growth. What can you tell us about SDS? Kent: SDS is a huge risk for soybean growers. It completely destroys your yield. Most farmers will do a crop rotation to minimize SDS issues in soybeans. What you’re trying to do is give it time to die out in the soil. Then you put in your soybeans again after its gone. But, SDS has adapted a little bit, so now a lot of SDS will survive through a farmers crop rotation. During the corn portion of the rotation, it won’t affect the yield of the corn, but will survive in the corn stalks throughout the season. That way, whenever soybeans are planted again, SDS is still in the soil and can affect soybeans. Kyle: Recently an article in Successful Farming magazine was written by a professor at Iowa State University, Darren Mueller on SDS. Tell us a bit about that and the farming practices involved. Kent: It’s a really good article, you can find that online. First off, he talked about a lot of his findings. They found no difference in early planted or late planted as far as SDS is concerned. Some guys are worried about planting early or late, and these researchers did not find any difference in planting time. They also haven’t seen a difference in whether or not they have had tillage spread the SDS. Some guys have been worried about that, but again these researchers have not seen a difference in that area. What they have seen is legumes can serve as a host to the fungus, but grasses and rye do not. They have also not seen a difference in cover crops vs. no cover crops. They have seen a slight increase in risk with narrow rows. Also, this isn’t under a farmers control but is something to be aware of, but heavy rains when soybeans flower (around R1) can also increase this risk. We work with a wide variety of universities too, and that is how they try to induce SDS when they are doing tests. They will water their test plots a whole bunch around flowering so that way they can induce SDS. Kyle: What soybeans are at higher risk? Kent: SDS is a bigger issue with high yield soybeans, which is a problem because higher yield soybeans is what everyone wants to grow. You just need to manage that risk. Looking at things like soybean cyst nematodes (SCN), that and SDS tend to go together. Whenever you have an SCN problem, then you tend to have a problem with SDS. So planting SCN resistant soybean varieties can also help. Soybeans that quickly canopy are also at a greater risk for SDS. You do want your soybeans to canopy as quickly as possible, which is why some guys plant 20 inch rows – they get that quick canopy and prevent weed development – but what that canopy cover does is it forms a great highway for different funguses and diseases to spread across the field. That’s just something to be aware of. Kyle: What treatments can a farmer do for preventing SDS and SCN? Kent: It all starts at planting. I’ve personally tested some great products on the farm that work great at getting rid of SCN. They also work great at reducing the risk of SDS. I’ve tested some really amazing inoculants that are specifically formulated to fight cyst nematodes. I’ve had the opportunity to provide those to farmers if they do their own seed treatments. 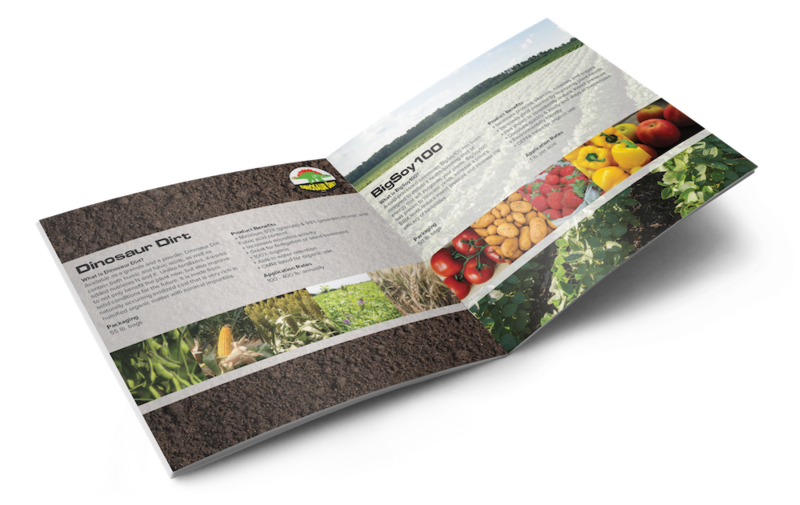 Our own in-furrow biological treatments are great at reducing disease pressure and promote healthy soil development. It puts your healthy microbes in the soil and they really help your plant get better yields and resist that SDS and survive better. We’ve had really good results with our in-furrow. Regular soil tests will help show the problems and help you to know how well your preventative products are working. That is one of the ways we figure out what works and what doesn’t. We do side-by-side soil tests where we can see what the SCN rates are and how our treatments affected the soil throughout the season. You can do that on your farm – pick an area to try a new product and test it for cyst nematodes and compare it to your control. We can also see SDS develop through out own thermal and NDVI imagery services. When SDS develops, it looks very particular from those special imagery types. The thermal can really show development before it shows up visually. If you catch it then, you can do foliar treatments and see what helps. Kyle: If someone has questions about ways to mitigate the risk of SDS or any of the options that are available through BigYield, how can they get ahold of you Kent? Kent: They can check us out online at www.BigYield.us. There is a lot of good information there. They can give us a call at 816-773-6096. They can also stop by the research farm west of Garden City, just south of Harrisonville. We will be more than happy to show them around. 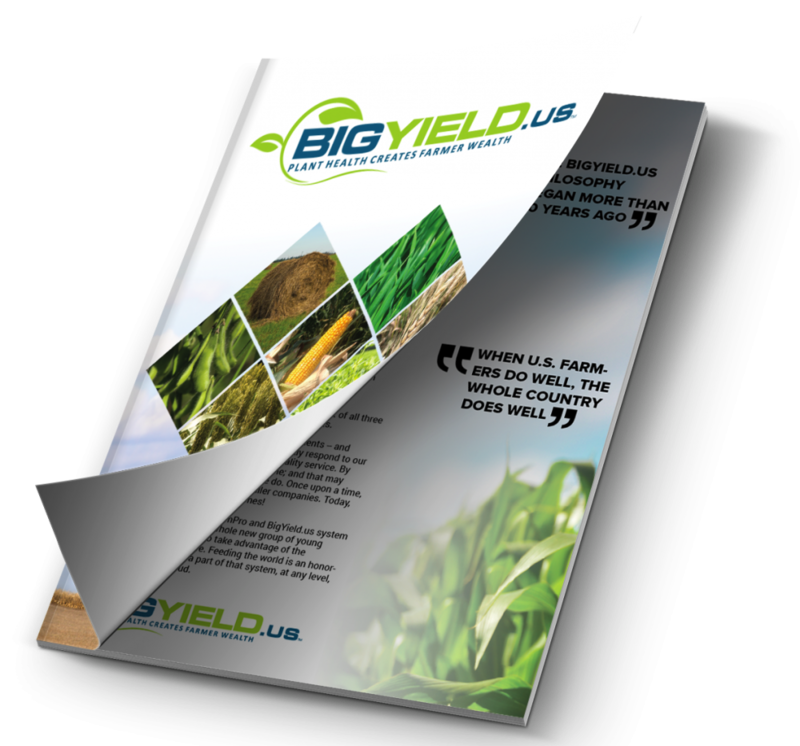 Kyle: Kent, once again glad to have your perspective with us today on the BigYield Spotlight. I’m looking forward to more conversations with you soon.